Hello Anna! Good to see you, the kettle’s just boiled – what would you like to drink? I’m Anna Seager and I have been running Little Crab Designs since 2006. We specialise in creating original, fun & quirky textile design nursery wall art and pictures for children’s bedrooms. Sarah Howell, friend and Isle of Wight artist, provides me with the majority of the original artwork, which I then turn into viable products and sell through the website at Little Crab. It all began in the summer of 2006 over an evening glass of wine, when I was staying with Sarah. She was keen to use her artistic talents again after taking time out to start a family and I was chomping at the bit to earn some money since giving up work had put a strain on the household income. I just knew that Sarah’s style of art would lend itself really well to the children’s market (we had lots of her work in our house!) and that if she did some designs, I could turn them into products to sell. I took the first pictures to my kids school Christmas fair where they had a great reception and the rest is history as they say! Our first products were actually prints of watercolour designs on chunky block canvases. We then introduced the textile art designs – Sarah in the main and I did a few too – and I came up with the different colour distressed frame options for them which have been a huge hit and now we have phased out the canvases. In fact I just sold the last few through our Facebook page in a “sale album” format – worked a treat! The whole textile/free machine embroidery theme is really a part of our brand now and what Sarah and I love best, so this is the basis of all new products now. When I first started out I did a lot of craft fairs and wholesaling to shops –but once the website took off I realised this was the way to go, as it gave me the true flexibility I was looking for to work around my children and was the most profitable way to run the business. Well this last year has been a real learning curve. Having sat smugly for the last four years watching our website traffic stats go up and up and up and seeing us hold onto top Google spots for our keywords, in September 2012 we suddenly dropped off a cliff edge and disappeared from that all important front page of Google in the organic search rankings. A huge lesson was learnt – not to put all my eggs in one basket – and now I am busy building up our social media presence on Facebook, Twitter and Pinterest as I realise the importance of these platforms today and I also maintain a regular blog and try to find other like-minded and relevant websites and blogs I can guest blog for or who might be interested in writing about Little Crab Designs. We just won a Jacqueline Gold #WOW twitter award last week for my recent Twitter efforts which I am really thrilled about! 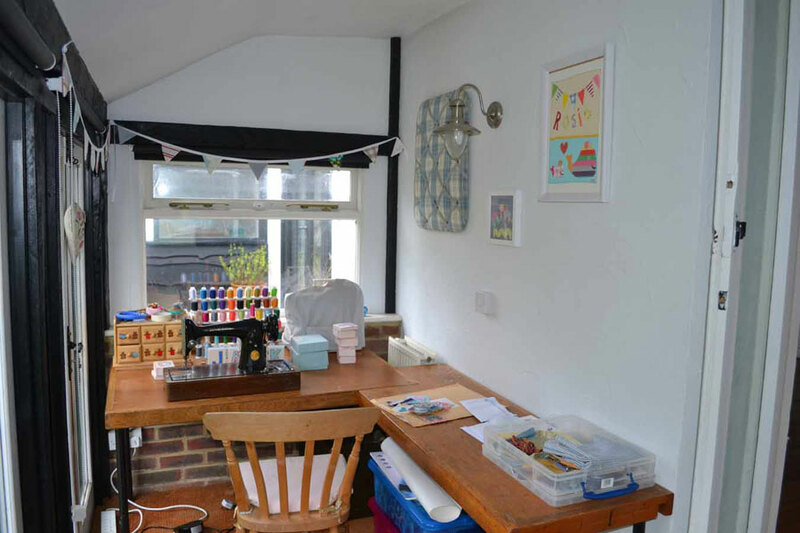 My lovely husband recently sorted out my little home studio. We went to the local junk shop and bought up some old school desks complete with chewing gum and graffiti! 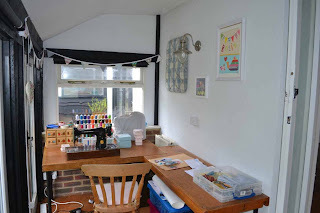 He cleverly adapted and modified it to suit and I have my computer set up at one end and my sewing machines and cutting out table at the other. 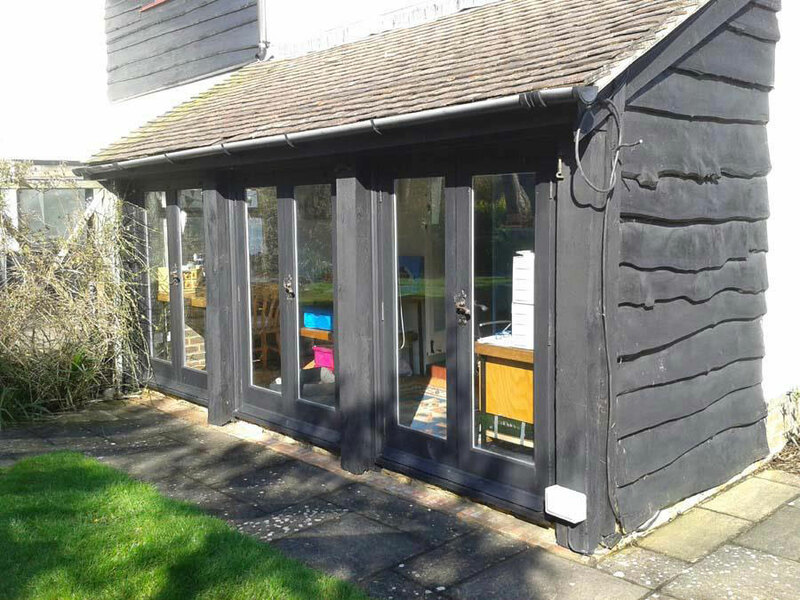 I love my little den – more in the summer with its open doors onto the garden… not so warm in the winter though! I love coming up with new ideas for products – working them through – whether I can make it commercially viable etc and then taking the new idea from design to finished product and seeing the response to it as it hits the website. This is what keeps me going! I also like creating new designs on my lovely Singer 201k sewing machine but I haven’t done much these past 9 months as have been so busy sorting out the new website. The downside or working from home is it can be quite lonely sometimes – luckily I have my gorgeous dog, Nala for company – and I intersperse long hours at the computer with dog walking with friends, or going kitesurfing at my beach -200ms from my front door! Oooh – there are lots! 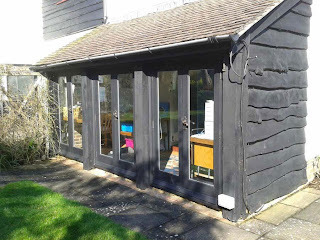 !...but I am going to say one I have recently come across because I am just so impressed with the speed at which she has built a business and all off the back of Facebook – she doesn’t even have a website ! 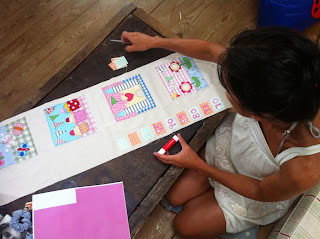 Betsy Boo Creations - She is one hard worker! It’s a rollercoaster ride!! You can have amazing days where you feel on top of the world and awful ones where you just want to give it all up – so learn to recognise that they are just that – a bad day… and the world will keep spinning the next day – and things will get better – so just keep doing what you do and keep trying – it seems to pay off overall! Well, we've just launched our new website which we are really excited about as it should make the whole shopping experience for our customers much, much easier and it gives us a very clear brand identity. So, the plan is to plough all my energy into promoting this whenever and however I can, over the rest of 2013 and work on restoring our traffic stats. We have some great new products in the pipeline which we hope to launch in September, and we are also looking to capitalise on our international market now we have a better ecommerce platform for taking overseas orders. Thanks so much for stopping by – it was so nice to be able to take the time to chat with you! I now realise I would very much like a dog and a nearby beach as a diversion for breaks in my working day!